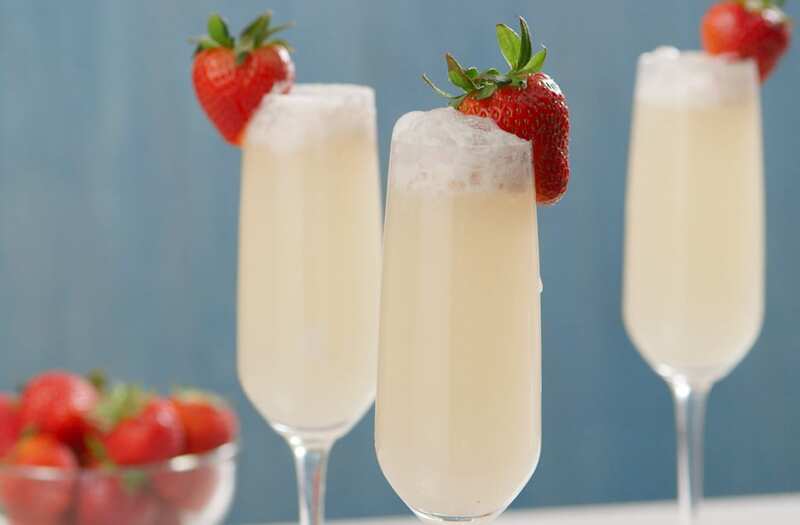 These strawberry shortcake mimosas combine the best of both worlds: drinks and desserts! Made with only four ingredients, this simple sweet and fruity combination is sure to be the hit of any bridal party or boozy brunch. Check out the full recipe below in today's episode of Cocktail of the Week! Pour vodka in the bottom of a champagne flute. Add champagne to fill 2/3 of glass, then drop in scoop of ice cream. Add a strawberry on the side for garnish.